This issue is one that I am proud of since I believe it makes an important contribution to the Paging industry by sharing critical information. I refer to the recent outages of Paging systems caused by certain models of the Trimble ThunderBolt GPS receiver and disciplined oscillator (GPS-DO). Following, near the end of this issue, in the LETTERS TO THE EDITOR section you will find a lot of very important information. There is info there that will benefit engineers responsible for Paging system maintenance as well as a basic tutorial for those just learning about how The Global Positional System (GPS) works. For some reason, York County, Pennsylvania has been getting most of the news coverage about this outage, but there have been several other Paging systems—in various parts of the country— affected. Still, there is a lot of mis-information going around. You can get the straight scoop here. Aug. 10—For more than 10 days, outdated software caused a disconnect between York County 911 dispatchers and emergency responders, but normal order was — mostly — restored Wednesday with the installation of new equipment. About an hour after the equipment updates took effect, dozens of first responders showed up at the county's 911 center in Springettsbury Township to voice concerns — some long-standing, some brought about by the glitch — over emergency communications systems in the area. A handful of fire chiefs urged county officials to implement a countywide backup system to avoid another prolonged breakdown in communication between responders and dispatchers. Some went further, calling for a leadership shake-up at the center to help ease the strained relationship between some departments and county officials, though no actions were taken by the York County commissioners and state representatives at the meeting. Firmware glitch: After reaching the end of its lifespan on July 30, firmware on the 911 center's communications equipment reset to its originally programmed date of Dec. 14, 1997. Because the center's communications equipment only dates back to 2001, the firmware didn't recognize the almost 20-year-old date, leading to the outage that prevented the 911 center's GPS signal from reaching a Coast Guard satellite that sends pages to fire and EMS personnel, officials have said. The 911 center ordered 20 new Trimble-manufactured Thunderbolt devices, which will allow dispatchers to once again reach fire and EMS responders on their pagers, said York County spokesman Mark Walters. Scott Keener, 911 center project manager, picked up the new devices on the 11th day of ongoing issues, and they were installed around the county Wednesday night to restore paging capabilities. "(The devices) are put on the different towers to allow those towers to send a GPS signal from our dispatch center to the pockets of fire and EMS responders," Walters said. 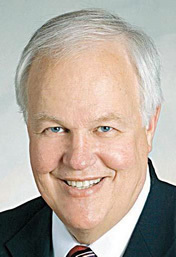 Limiting inconveniences: Since the system went down, county officials have worked to restore the services while trying to limit the inconveniences and problems for fire and EMS responders, Walters said. The 911 center borrowed nine pieces of communication equipment from other counties, including seven from Dauphin County, Walters said, adding that an employee drove to Chester County to pick up one device just "to get a little bit more coverage." New devices were ordered Aug. 2, but in the interim, 911 dispatchers had been reaching fire and EMS responders on "bulky, heavy and loud" handheld radios, Walters said. With the technical issues nearing their end, Walters praised York County fire departments, EMS responders and 911 dispatchers for their "professionalism," "strength" and "willingness to work through this." "I'd say they've all done a spectacular job rising to the occasion amid this inconvenience," Walters said. 'Healthy discussion': Nearly 60 officials from fire and EMS departments across the county converged on the York County 911 center Wednesday to talk about the status of the county's emergency communications systems with 911 center officials, commissioners and state representatives. Many of those who spoke up at the meeting were chiefs of their respective departments, including Eureka Volunteer Fire Co. Chief Ira Walker Jr.
Like others, Walker said the 911 center's failure to have any backup systems or redundancies in place in case of technological issues "blows my mind." Firefighters from Eureka, Craley and other volunteer fire companies fared worse than their professional counterparts during the paging outage, said Craley Fire Chief Jesse Frantz. Because there was no countywide backup system ready to go at the time of the glitch, volunteer fire companies were forced to man their stations at all times starting at the end of July to ensure they were hearing calls for service, Frantz said. Both Walker and Frantz reported their companies did not miss a single call during the outage, despite the added workload and strain on volunteers. The meeting took place shortly after officials said the 911 system was once again operating at full capacity. To prove that the system was fully functional, Keener sent out a test page to firefighters across the county. About a minute later, the discussion was interrupted as most of the responders' pagers went off, but shortly after it became clear that some pagers were still not receiving calls. The not-entirely-successful test ratcheted up the tension that was beginning to grow between some of the firefighters in attendance and county officials sitting at the front of the 911 center's conference room. Still, York County Commissioner Doug Hoke said after the meeting he was happy to have all the stakeholders in one room for a "healthy discussion" about how to improve the county's 911 system. Those in attendance provided county commissioners with a wealth of ideas on how to improve the 911 system, from leadership changes at the 911 center to an audit of the center's operations under former executive director Eric Bistline to mobile-app based redundancies. Hoke said the commissioners will start working through the comments and questions soon to see what could work for York County, but he was noncommittal about the commissioners' initial course of action. Japan ended June with 163.1 million mobile customers, up from 162.7 million in March. Mobile operator Softbank had 38.88 million mobile subscribers in the quarter ended 30 June, down from 39.31 million in March, according to a report from the Telecommunications Carrier Association (TCA). KDDI (au) ended June with 49.10 million subscribers in total, up from 48.54 million at end-March. NTT Docomo's subscriber base topped 75.11 million users at 30 June, up from 74.87 million in March. Japan also had 25.87 million broadband wireless access subscribers at end-June, served by Wimax services provider UQ Communications. At 30 June, there were also 124,500 radio paging users in Japan. 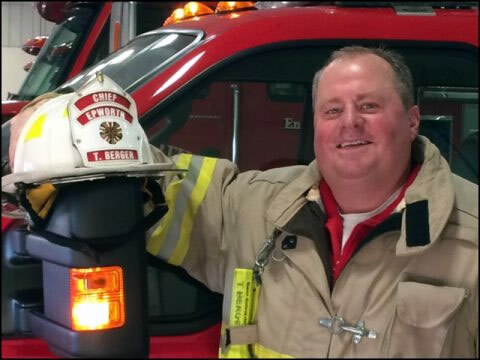 Dubuque County, Iowa, is migrating its analog voice paging for its volunteer fire fighters to a state-of-the-art DiCal digital alerting solution. In conjunction with an upgrade to P25 for their voice communication, Dubuque County wants to improve performance within their fire and EMS response. This requires faster and more reliable paging of their volunteer fire services to reduce response times. 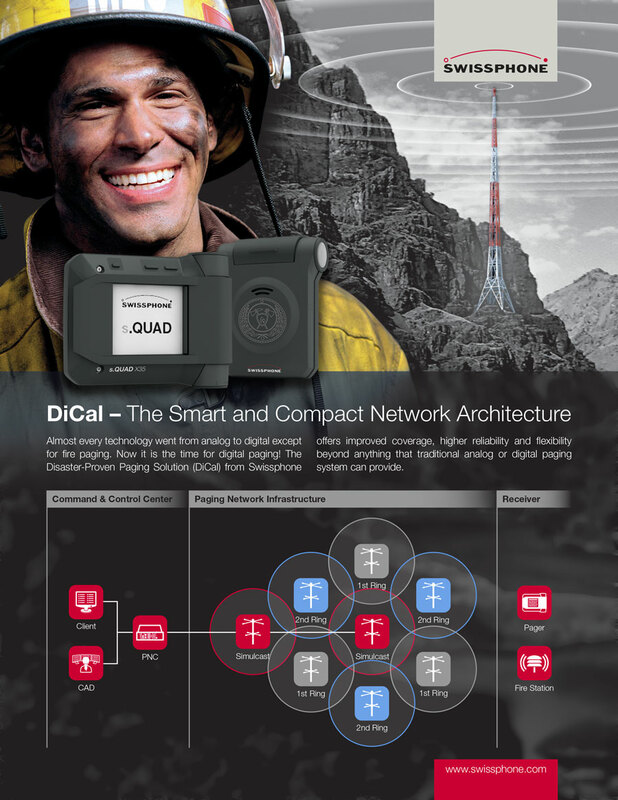 DiCal is a complete digital alerting solution from Swissphone including network components and pagers. 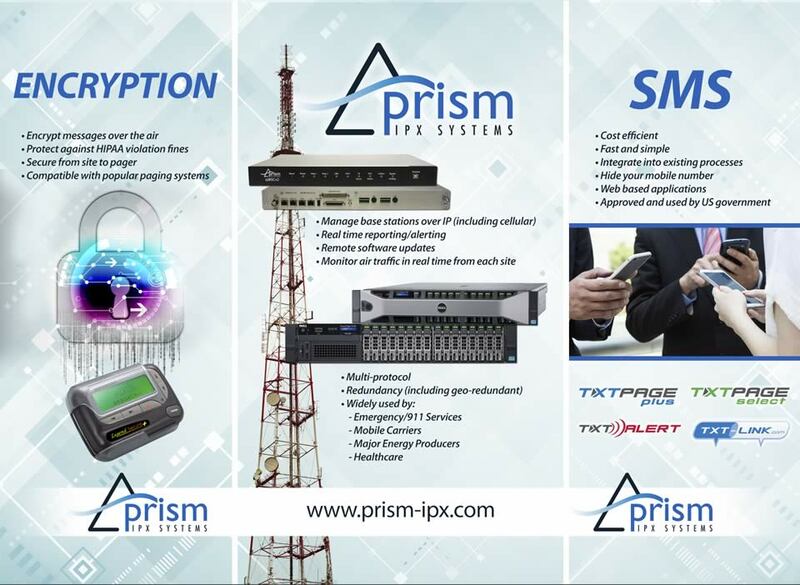 The system offers more cost effective network coverage, faster alert and response times and very high system resilience due to self-monitoring of the network, several fallback modes in case of a failure of a component, and fallback clients in order to alert even if the CAD system is down. “Text messaging isn’t just the future. It’s now. It’s simply faster and easier than tone/voice for fire fighters and dispatchers. We’re seeing several counties in Iowa that are making the same transition to text messaging with RACOM and DiCal,” says Tom Berger. Swissphone’s. 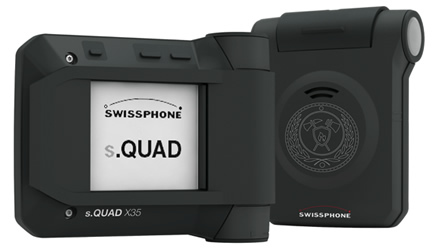 s.QUAD pagers offer best-in-class sensitivity to receive radio signals even in very remote locations; they are extremely robust, loud and run up to three months on a single battery. In addition, they allow first responders to respond back to an alert. Dubuque is a county in the east of Iowa with 96,000 inhabitants and a size of 617 square miles. Its fire service organization contains 13 fire departments, operating out of 21 fire stations with a total of 550 first responders. On average, they handle about 7,600 calls for service annually. Dubuque’s system will be a 12-site, multi-primary, multi-ring design providing countywide 8dB indoor coverage, with 15dB indoor coverage in towns. In addition to alerting Fire and EMS personnel, it will also be used to activate all the outdoor warning sirens. 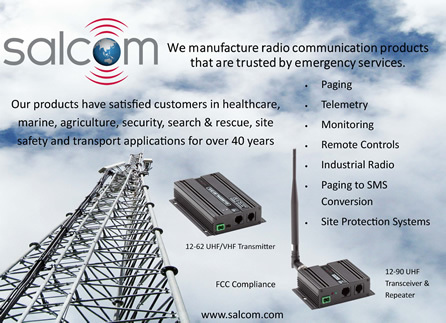 The solution is commissioned and installed by RACOM Corporation, a leading P25 solutions provider and Swissphone DiCal partner. RACOM has previously commissioned and installed P25 solutions with DiCal digital paging in other counties in Iowa. “DiCal is a great supplement to our P25 value proposition for digital voice communication. It allows our customers to resolve their paging issues once and for all by migrating to digital alerting – for about 5% of the total P-25 project cost. DiCal is a great complement to our portfolio,” says Terry Brennan, Vice President of RACOM. To learn more about how Swissphone can help you increase the coverage of your existing analog network even before a migration to digital paging, please consult our whitepaper. NASA has issued a statement to let the GPS community know what to expect when the total solar eclipse takes place across America on Aug. 21. On Aug. 21, the eclipse will cross all of North America. Anyone within the path of totality will see the moon completely cover the sun, and the sun’s tenuous atmosphere — the corona — can be seen. Observers outside this path will still see a partial solar eclipse where the moon covers part of the sun’s disk. 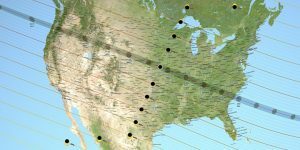 For NASA, the eclipse provides a unique opportunity to study the sun, Earth, moon and their interaction because of the eclipse’s long path over land and coast to coast. Eleven NASA and NOAA satellites, as well as the International Space Station, more than 50 high-altitude balloons and hundreds of ground-based assets, will take advantage of this rare event over 90 minutes, sharing the science and the beauty of a total solar eclipse with all. Via live streams and a NASA TV broadcast, NASA will bring the Aug. 21 eclipse live to viewers everywhere in the world. Below is the statement from NASA regarding GPS. From ionospheric point of view, the expected effect of solar eclipse is a significant reduction in solar EUV ionization (solar EUV radiation is blocked) and thus in the amount of ionospheric total electron content (TEC) with respect to nominal conditions along the eclipse path. Some observations also show wave-like TEC perturbations in small magnitude (~1 TECU) during eclipse as shown in the attached reference. The wave-like perturbations appear to be the effect of atmospheric gravity waves or traveling ionospheric disturbances (TIDs) that might be triggered during eclipse. The TEC decrease would reduce ionospheric-induced delay of GPS signals. The small-magnitude TIDs won’t cause any major effects on GPS signals. These should not cause loss of GPS signals. I have not seen any reports about ionospheric scintillation observations during eclipse (I might have missed them). It would be interesting to analyze GPS data along the path of upcoming August eclipse to see if any scintillation events could be triggered. We have some GPS data processing tools at JPL and can contribute to this analysis. A solar eclipse occurs when the Moon passes between the Sun and the Earth, thereby totally or partly obscuring the image of the sun for a viewer on Earth. There is a region of Earth’s upper atmosphere, called the ionosphere which affects radio waves, including GPS. The ionosphere consists of “ions,” a shell of electrons and electrically charged atoms and molecules. Because ions are created through sunlight interacting with the atoms and molecules in the very thin upper atmosphere, the density (thickness and consistency) of the ionosphere varies from day to night. The ionosphere bends radio signals, similar to the way water will bend light signals. That is why you can hear AM radio broadcasts from far away at night. Also, ham radio operators rely on the ionosphere to bounce their signals from their station to the far reaches of the globe. Since GPS is a radio signal, its measurements are slightly impacted by ionosphere changes, resulting in small increases in position error. For all except very precise GPS users, these changes are negligible. Note that a total eclipse of the Sun is similar to our day-night cycle, only much faster. So, while the ionosphere will be more dynamic during an eclipse, it will not cause a loss of the GPS signal. In summary, while any effects from the eclipse are of scientific interest, GPS service should not be adversely affected by the Aug. 21 solar eclipse. Ionospheric effects should not be confused with those from solar flares (a brief eruption of intense high-energy radiation from the sun’s surface) that can cause significant electromagnetic disturbances on the earth, impacting radio frequency communications/transmissions (including GPS signals) and power line transmissions. Solar flares are not produced because of an eclipse. YORK, Pa. — Following an 11-day outage with the York County 911 paging system, some fire chiefs said their old system was more reliable. Eureka Fire Chief Ira Walker said, "I grew up through the old system into the new system. A lot of us were used to having that voice, voiceover to tell us where the location was, what the nature was." Although some York County fire chiefs said they didn't have many issues with the old system, the county switched over to the digital pagers about 10 years ago. They receive a text message through those pagers. York City Deputy Fire Chief Chad Deardorff said, "The wishes of the end users weren't really listened to by past administration." Officials said one of the problems that came along with the digital pagers is an inconvenience while on the roads. Walker said, "Obviously when we're driving we're going to have to do what? Look at our pagers and not hear it, we have to look at it. Guess what, we're breaking the law. We're not supposed to be texting while driving and I think it sets a poor example. But nonetheless you have responders who need to know where they're going." Fire chiefs said a benefit to the digital pagers is responders can go back and check the information. However, with the technology update can come technical problems. They said with their old pager system, they never had a long outage — nowhere close to 11 days. Deardorff said, "It's ironic I guess is the best way to put it. We're trying to move forward and get the best of the best, and you know sometimes the best of the best doesn't work properly all the time." The recent system outage affected volunteer fire departments, who rely heavily on their pagers. Walker said, "Lots of your volunteers are either one at work, at home or at an activity of some type, but they're not necessarily at the station." Some fire chiefs are asking for a backup plan in case the system fails again, and others are looking to better the system they currently have. Deardorff said, "Maybe we look at a combination. There's combinations of different paging systems out there where it can be voice and on a digital pager." St. Charles County residents and those traveling through the county now can use text-to-911 on mobile devices at times when a 911 call is not safe or practical, according to a press release. This service is the latest step in a countywide upgrade of the 911 system. The increased dependence on cell phones was a key driver in bringing text-to-911 to St. Charles County. A call to 911 still is the preferred form of communication during an emergency, but there may be situations — a home invasion or a domestic violence incident, for example — when texting for help is safer. Texting also may be more convenient for those with hearing or speech disabilities than a TTD or TTY device. A citizen text comes in to the 911 system and their approximate location appears for the dispatcher on a computer-based map. The dispatcher texts the citizen back to confirm the phone number and location and asks if it is safe to call. If the answer is no, the dispatcher will continue to text. 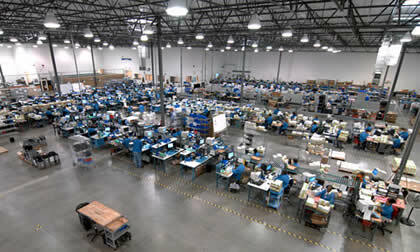 The dispatcher will keep messages simple and to the point, using simple words and avoiding text lingo or abbreviations. The citizen texting is encouraged to do the same. Enter the numbers 911 in the “To” field of the text message on a mobile device. Send a brief message: location and type of emergency. Abuse of the text-to-911 system, such as texting fake emergencies, carries the same legal ramifications in the state of Missouri as abuse of 911 calls (§ 190.308.1, RSMo 2016). • St. Charles County’s text-to-911 service works only in this county. A text or data plan is required to place a text to 911. Photos and videos cannot be sent via text-to-911. A text to 911 can only be between a dispatcher and one citizen — no group texts. Text-to-911 is not available in “roaming” mode. As with all text messages, 911 text messages can take time to receive, may be delivered out of order or may not be received at all. The sender should receive a “not delivered” message from their wireless carrier if a text did not go through. For safety reasons, text-to-911 should not be used while driving. The upgrade of the county’s 911 system, which began in 2015, was necessary to keep up with technology and the abundance of wireless 911 calls. Calls are answered by Public Service Answering Points (PSAPs) located throughout the county. All PSAPs, including those managed by the cities of Lake Saint Louis, O’Fallon, St. Charles, St. Peters and Wentzville, as well as the St. Charles County Department of Emergency Communications, operates a Motorola Solutions Emergency CallWorks cloud-based 911 system. Features of the system include off-site equipment for emergency back-up; map-based caller identification; and the ability for dispatchers to log in from any PSAP location. All St. Charles County PSAPs have adopted the same policies and procedures for handling and responding to text-to-911 messages. For more information about text-to-911 and the new 911 system, visit sccmo.org/EmergencyCommunications. Should FCC Open Up 900 MHz Band for Broadband, IoT? The FCC is proposing to open up the 900 MHz band for other uses, specifically broadband and the Internet of Things (IoT). In a Notice of Inquiry, the agency asks for input on appropriate rules changes to increase spectrum access, improve spectrum efficiency and expand flexibility in the 896-901/935-940 MHz band (900 MHz band) for next generation technologies and services. The band was designated in 1986 for narrowband private land mobile radio (PLMR) communications by Business/Industrial/Land Transportation (B/ILT) licensees and Specialized Mobile Radio (SMR) providers, with systems in place today. A review of the Commission’s Universal Licensing System database shows approximately 2,700 900 MHz B/ILT sites (i.e., facilities operating on B/ILT channels that have not been converted to SMR use) licensed to approximately 500 licensees. Examples of 900 MHz B/ILT licensees include entities engaged in land transportation, utilities, manufacturers, and the petrochemical industry. The distribution of B/ILT sites across the United States is shown on the map shown above. While the service is used throughout the country, the greatest number of stations are in the coastal Northeast, the Carolinas, the Atlanta region, Florida, the Great Lakes region, the Gulf Coast area, coastal Washington State, and throughout California. The Commission asks for comment on what new services could become available if commercial use in this band is expanded. “In particular, are there low-bandwidth Internet-of-Things (IoT) applications that might benefit from the propagation characteristics of the 900 MHz band but which do not squarely fit within the B/ILT eligibility requirements?” the agency asks in the text. It also seeks comment on the demand for such services and whether that can be met more efficiently in other bands. The agency wants input on whether a portion of the 900 MHz band should be designated for broadband operations, and if so, the potential impact on current users. What would be a suitable bandwidth, taking into account the evolution of wireless technical standards like LTE, it asks? The agency asks, for example, would 3 x 3 megahertz paired blocks be sufficient to create a commercially viable broadband service. Comments to WT Docket 17-200 are due by September 18 with replies by October 18. On August 8, the Eighth Circuit Court of Appeals denied a motion to stay the effect of the FCC’s reform of its rules governing business data services (BDS). As a result, the BDS reforms will go into effect on schedule while the appeal proceeds. Specifically, this BDS reforms generally deregulate the rates incumbent providers can charge for wireless backhaul, credit card readers, ATMs, and other such services. AT&T has already announced an imminent price hike for its BDS services on the heels of the FCC’s plan to deregulate business broadband. Texas, Missouri, Arkansas, Ohio, Indiana and Wisconsin “are among those affected by the intrastate hike,” according to Politico. 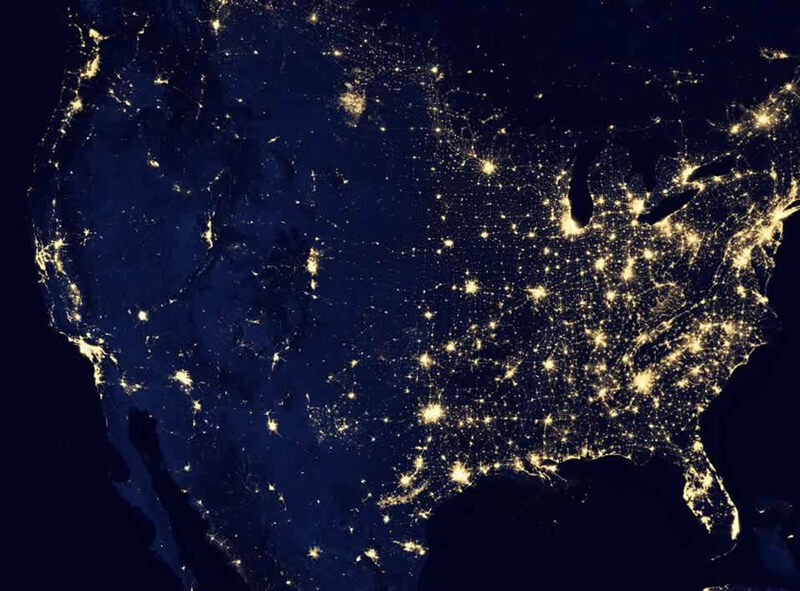 On August 4, the FCC issued a Public Notice in which it proposes and seeks comment on a number of procedures to be used in the upcoming Connect America Phase II auction. Comments are due September 18, and reply comments are due October 18. Procedures discussed in the Public Notice include (i) how an applicant can become qualified to participate in the auction, (ii) how bidders will submit bids, and (iii) how bids will be processed to determine winners and assign support amounts. The FCC also proposes procedures for, among other things, aggregating eligible areas into larger geographic units for bidding, setting reserve prices, and making auction information available to bidders and the public. Carriers interested in participating in this proceeding should contact the firm for more information. BloostonLaw Contacts: Ben Dickens, John Prendergast, Mary Sisak, and Sal Taillefer. On August 4, the FCC released the text of its Notice of Inquiry on mid-band spectrum uses. Comments are due October 3, and reply comments are due November 1. In the NOI, the FCC seeks input on potential opportunities for additional flexible access—particularly for wireless broadband services—in spectrum bands between 3.7 and 24 GHz (mid-band spectrum). In particular, the FCC seeks detailed comment on three specific bands: 3.7-4.2 GHz; 5.925-6.425 GHz; and 6.425-7.125 GHz. According to the NOI, these three bands have already garnered interest from industry stakeholders—both domestically and internationally—for expanded flexible broadband use. As such, the FCC believes that these three bands represent an appropriate starting point for our inquiry into expanding access to mid-band spectrum. 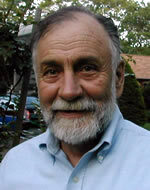 Specifically, the FCC asks commenters to identify other bands, allocated for exclusive non-federal use or shared federal and non-federal use, that might be suitable candidates for expanded flexible wireless broadband use so that the FCC can understand any other interest in these mid-band frequencies and make more informed proposals to explore such bands in future proceedings, if appropriate. On August 8, the FCC released the thirteenth annual Section 706 Report Notice of Inquiry. Comments are due September 7, and reply comments are due September 22. Section 706 of the Telecommunications Act of 1996 requires the FCC to determine and report annually on “whether advanced telecommunications capability is being deployed to all Americans in a reasonable and timely fashion.” To accomplish this requirement, the FCC issues the annual Section 706 NOI, which poses for comment a number of questions aimed at seeking objective data and other evidence reflecting the state of broadband deployment and availability. Questions posed by the NOI include (i) whether the FCC’s inquiry should focus on some form of advanced telecommunications capability, be it fixed or mobile, is being deployed to all Americans in a reasonable and timely fashion; (ii) whether, for fixed services, the 25 Mbps download, 3 Mbps upload (25 Mbps/3 Mbps) speed benchmark should be maintained; and, (iii) whether a mobile speed benchmark of 10 Mbps/1 Mbps is appropriate for mobile broadband services. The FCC also seeks comment on establishing a fixed process for updating benchmarks for the NOI each year. On August 3, Sen. John Thune (R-S.D. ), chairman of the Senate Committee on Commerce, Science, and Transportation, issued a statement on the bipartisan nominations package that passed that night by unanimous consent, filling key administration positions appointed by President Donald Trump. Among the confirmed were Jessica Rosenworcel and Brendan Carr, to be members of the FCC. Mr. Carr’s term will expire on June 30, 2018 because he is filling an existing term. On August 3, the FCC issued a Press Release announcing a proposed fine of $82,106,000 against an individual and his companies which apparently made more than 21 million illegally spoofed robocalls in violation of the Truth in Caller ID Act. The Truth in Caller ID Act of 2009 and the FCC’s rules prohibit spoofing with the intent to cause harm, defraud, or wrongfully obtain anything of value. Specifically, the FCC found that Best Insurance Contracts and its owner/operator, Mr. Philip Roesel (doing business as Wilmington Insurance Quotes) apparently made millions of illegally spoofed robocalls consumers around the country. Mr. Roesel of Wilmington, North Carolina displayed inaccurate caller ID information when making robocalls in an effort to sell health insurance, which especially targeted vulnerable consumers, including the elderly, the infirm, and low-income families. In December 2016, a medical paging provider called Spōk complained to FCC staff that robocalling campaigns were disrupting its network. Using information provided by Spōk to connect these calls to Mr. Roesel, the FCC’s Enforcement Bureau subpoenaed Mr. Roesel’s call records from October 2016 through January 2017. Based on these records, FCC investigators verified 82,106 health insurance telemarketing calls made during that time used falsified caller ID information. These calls are the basis for today’s proposed fine. The FCC’s Enforcement Bureau also issued a citation to Best Insurance Contracts and Mr. Roesel, doing business as Wilmington Insurance Quotes, for apparent violations of the Telephone Consumer Protection Act’s robocall limits. Under the Communication s Act, the FCC must first provide a warning – in the form of a citation – to TCPA violators if the person or entity in question does not possess a license or authorization issued by the FCC. If those violations continue, they may be subject to additional fines. BloostonLaw Contacts: Ben Dickens, Gerry Duffy, and Sal Taillefer. On August 3, U.S. Sen. John Thune (R-S.D. ), chairman of the Senate Committee on Commerce, Science, and Transportation, announced the Senate passage today of six technology and telecommunications bills, all of which were previously approved by the committee. S. 88, Developing Innovation and Growing the Internet of Things Act (DIGIT Act), Legislation to bring together private sector and government entities to assess the needs of the Internet of Things (IoT) and study the readiness of government to support the IoT. Sponsors: Sens. Deb Fischer (R-Neb. ), Cory Booker (D-N.J.), Cory Gardner (R-Colo.), Brian Schatz (D-Hawaii). On August 7, AT&T suffered another setback in its proposal to acquire Time Warner when Sen. Elizabeth Warren (D-Mass.) delayed the confirmation of a key antitrust nominee Makan Delrahim. Although the Senate Judiciary Committee in June recommended Delrahim by a 19-to-1 margin, reports the New York Post, he will now have to wait until the August recess is over (and so will AT&T). According to the New York Post, a source close to Delrahim said that “Makan was caught off guard. This is just politics at its worst when you hold up one of the most qualified individuals in the Trump administration.” However, the New York Post further notes that the Justice Department could approve the deal without Delrahim, and that AT&T’s insistence that Delrahim review the deal could mean it is not happy with the staff recommendation and is hoping for a better shake with the boss in the seat, sources said. SEPTEMBER 1: FCC FORM 477, LOCAL COMPETITION AND BROADBAND REPORTING FORM. Three types of entities must file this form. (1) Facilities-based Providers of Broadband Connections to End User Locations: Entities that are facilities-based providers of broadband connections – which are wired “lines” or wireless “channels” that enable the end user to receive information from and/or send information to the Internet at information transfer rates exceeding 200 kbps in at least one direction — must complete and file the applicable portions of this form for each state in which the entity provides one or more such connections to end user locations. For the purposes of Form 477, an entity is a “facilities-based” provider of broadband connections to end user locations if it owns the portion of the physical facility that terminates at the end user location, if it obtains unbundled network elements (UNEs), special access lines, or other leased facilities that terminate at the end user location and provisions/equips them as broadband, or if it provisions/equips a broadband wireless channel to the end user location over licensed or unlicensed spectrum. Such entities include incumbent and competitive local exchange carriers (LECs), cable system operators, fixed wireless service providers (including “wireless ISPs”), terrestrial and satellite mobile wireless service providers, MMDS providers, electric utilities, municipalities, and other entities. (Such entities do not include equipment suppliers unless the equipment supplier uses the equipment to provision a broadband connection that it offers to the public for sale. Such entities also do not include providers of fixed wireless services (e.g., “Wi-Fi” and other wireless ethernet, or wireless local area network, applications) that only enable local distribution and sharing of a premises broadband facility.) 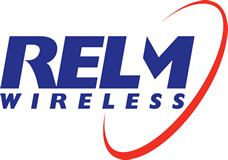 (2) Providers of Wired or Fixed Wireless Local Telephone Services: Incumbent and competitive LECs must complete and file the applicable portions of the form for each state in which they provide local exchange service to one or more end user customers (which may include “dial-up” ISPs). (3) Providers of Interconnected Voice over Internet Protocol (VoIP) Service: Interconnected VoIP service is a service that enables real-time, two-way voice communications; requires a broadband connection from the user’s location; requires Internet-protocol compatible customer premises equipment; and permits users generally to receive calls that originate on the public switched telephone network and to terminate calls to the public switched telephone network. Interconnected VoIP providers must complete and file the applicable portions of the form for each state in which they provide interconnected VoIP service to one or more subscribers, with the state determined for reporting purposes by the location of the subscriber’s broadband connection or the subscriber’s “Registered Location” as of the data-collection date. “Registered Location” is the most recent information obtained by an interconnected VoIP service provider that identifies the physical location of an end user. 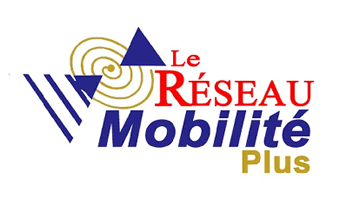 (4) Providers of Mobile Telephony Services: Facilities-based providers of mobile telephony services must complete and file the applicable portions of this form for each state in which they serve one or more mobile telephony subscribers. A mobile telephony service is a real-time, two-way switched voice service that is interconnected with the public switched network using an in-network switching facility that enables the provider to reuse frequencies and accomplish seamless handoff of subscriber calls. A mobile telephony service provider is considered “facilities-based” if it serves a subscriber using spectrum for which the entity holds a license that it manages, or for which it has obtained the right to use via lease or other arrangement with a Band Manager. OCTOBER 16: 911 RELIABILITY CERTIFICATION. 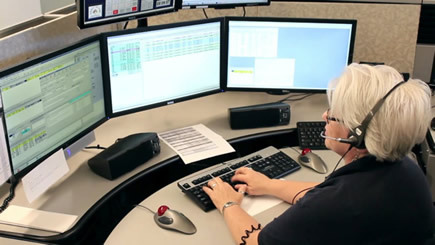 Covered 911 Service Providers, which are defined as entities that “[p]rovide 911, E911, or NG911 capabilities such as call routing, automatic location information (ALI), automatic number identification (ANI), or the functional equivalent of those capabilities, directly to a public safety answering point (PSAP), statewide default answering point, or appropriate local emergency authority,” or that “[o]perate one or more central offices that directly serve a PSAP,” are required certify that they have taken reasonable measures to provide reliable 911 service with respect to three substantive requirements: (i) 911 circuit diversity; (ii) central office backup power; and (iii) diverse network monitoring by October 15. Certifications must be made through the FCC’s portal. Aug. 28 – Comments are due on Rural Call Completion NPRM. Sep. 7 – Comments are due on Section 706 NOI. Sep. 18 – Comments are due on Connect America Phase II auction procedures. 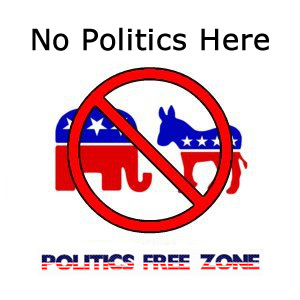 Sep. 22 – Reply comments are due on Section 706 NOI. Sep. 25 – Reply comments are due on Rural Call Completion NPRM. Oct. 3 – Comments are due on Mid-Band Spectrum NOI. Oct. 18 – Reply comments are due on Connect America Phase II auction procedures. Nov. 1 – Reply comments are due on Mid-Band Spectrum NOI. YORK, Pa. (WHTM) – York County leaders organized a meeting Wednesday night to discuss the county’s malfunctioning emergency paging system. In late July, GPS signals at transmitter sites were not reaching satellites, forcing first responders to use alternate systems such as handheld radios during the outage. The meeting held at the York County Department of Services conference center included leaders such as state Rep. Kristin Phillips-Hill. County spokesman Mark Walters says the outage caught everyone off guard. York County 911 said Wednesday the GPS equipment required to fix the paging outage for was installed in the afternoon, bringing everything back to 100 percent coverage in the evening. Some people like Ira Walker, chief of the Eureka Fire Company, are calling on county commissioners to conduct an audit following the issues. This e-mail was sent by ARRL, and contains timely information of importance to all radio amateurs. It was sent by ARRL to current members. Your e-mail address was not shared with any third party. I saw the one article about York County, PA, but that only tells one small part of the story. Not sure if you are already aware of this, but apparently, all Trimble Thunderbolt GPS receivers, prior to the E series, which came out about 5-6 years ago, experienced this shut down problem. It sounds like a Y2K issue, as it has something to do with the calendars in the units, which Trimble said would expire in 2019, but instead it happened this past Saturday, July 29. The worst part of it is that hardly anyone knew to expect this, as Trimble says they sent out some notices about a year or so ago. Their only distributor, Novotech, did not know about it and had no inventory of the new replacement E series Thunderbolt GPS Receivers. So, many customers, like York County, PA, San Diego County, CA, Spokane County, WA, Palm Beach County, FL, and Medical Univ. of S. Carolina, all had their paging systems shut down over the weekend. And these are only the users that we know about. No doubt there are hundreds more. Trimble says they are shipping new units from their overseas factory in about 2 weeks — thats the best they can offer! In the mean time, all these customers systems are down for the most part. 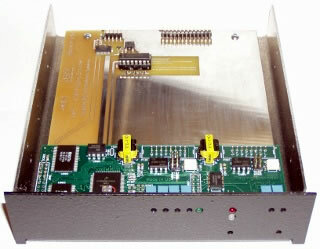 We had a few units in inventory and shipped to a few customers to get them at least partially up and running. Some are trying to replace them with Trimble Accutime units, but this is not a simple change-out and requires replacing cables, re-configuring the simulcast controllers, and still keeping the old Thunderbolts for their transmitter frequency reference, as the Accutimes do not provide that. This is only an issue for users with Zetron Model 600/620 Simulcast Controllers, as they will only operate with TSIP capable GPS Receivers for timing. It just seems unbelievable to me that a company like Trimble, with all the modern communications that are available today, was unable to notify everyone to prepare for this. What has made it worse, is that they failed to be prepared by at least having the required inventory of new units available, to assist the end users in keeping these critical, emergency communications systems running. The calendars in the GPS units that Paul references in his excellent message above are called “epochs” and consist of 1024 weeks or 19.6 years. GPS week number 0 started on January 6, 1980. Unfortunately, the GPS system has allotted only 10-bits of information to carry the GPS week number and therefore it rolls-over to 0 in just 1,024 weeks (19.6 years,) and there is no mechanism built into GPS to tell the user to which 1024 epoc the week number refers. The first week number roll-over that occurred was on August 21, 1999 (GPPS) and it transitioned to August 22, 1999 (GPS). The ThunderBolt has provided an accurate translation of GPS week number and TOW to time and date until July 30, 2017. Apparently this doesn't affect the time of day or the frequency accuracy of the GPSDO (Global Positioning System Disciplined Oscillator). The original copy follows below. Many people have been aware of this coming issue for a long time. The ThunderBolt's 10 MHz and 1PPS outputs are unaffected so they can still be used for time and frequency standards but the date will be off by 1,024 weeks. Some programs correct for this issue and some do not. Trimble's ThunderBolt Monitor software reports the current date as being December 25, 1997. NMEATime a program from VisualGPS, LLC for use with GPS receivers, and used to discipline a PC's internal timebase, reports the date correctly on a USB-dongle receiver. Jim, are you aware of any issues with the GPS-week roll over at the end of July? Yes, but here is all I know. Some of my paging terminal customers that use another vendor's transmitter control systems and Trimble Thunderbolt GPS receivers experienced signal outages. I do not have details of exactly what was failing as there are many data and signal parts for GPS operation. This includes serial data containing timing strings which optionally are NMEA or Trimble’s own TSIP. A change affecting timing, frequency or positioning data are all potentially service affecting. 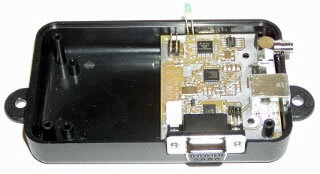 The solution some customers found was to replace their GPS receivers with Trimble E model of Thunderbolt receivers. This apparently is a widespread issue (not just paging) and it has caused high demand for the E model which is now reported to 6-8 weeks delivery, and prices appear higher than before. To my knowledge no warning was given that a service affecting change was being made so users were caught off guard and their systems failed. Fortunately many other paging systems, including our Prism IP transmitter control systems, use the newer advanced GPS model, and were not affected. 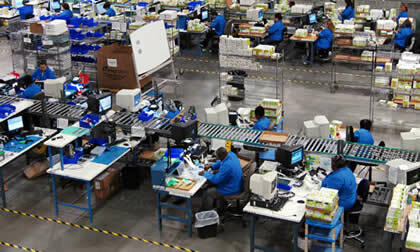 We have seen increased activity to upgrade some of the affected systems to our more modern control systems. Subject: Thunderbolt Monitor could be easily used to convert the date on the fly. I proposed to use my Thunderbolt Monitor kit with custom software. 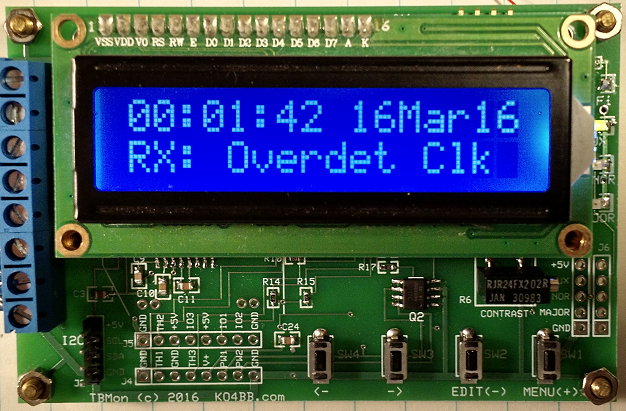 This kit decodes the main and supplemental packets from the Thunderbolt, extract the date, time and a number of status bits in order to display that information on a small 2x16 character LCD display. It also provides a pass through of the unmodified Thunderbolt data to a WiFi module to allow monitoring using software like Lady Heather that you may have come across if you read the time-nuts mailing list. I recently modified the firmware in order to be able to overcome the week rollover issue, but the correction is not applied to the Thunderbolt pass through data by choice. It would not be very difficult to apply that correction so that you would connect my monitor serial port #1 to the Thunderbolt and you would connect your equipment to the monitor's serial port #2 (currently used to process the PPS signal). Assuming that I make this software and hardware mod, there are a few things to consider. 1) processing the message takes time, I have to receive the entire message, decode it, modify the relevant information and create a new message. It is not possible to modify the message content "on the fly" so there will be additional latency in the serial data. It may be possible to simply delay the messages by an entire second and apply the correction such that this second is accounted for but I need to check that it would not cause additional problems. 2) many applications need more than the two main data packets. Additional packets can be requested using the same serial port in the other direction. My monitor supports that feature but I am not sure the effect of delaying the primary and secondary packets would have on these commands (in effect, the response to these commands would be delayed by one second). One potential problem is that it is easy to request more data than can be put out at 9600 bauds in one second. Delaying the message and requesting a lot of additional information may cause the primary or secondary packets to cross over the 1 second boundary and I have no idea what effect that would have on your system. I cannot imagine that it would be good but I do not know. 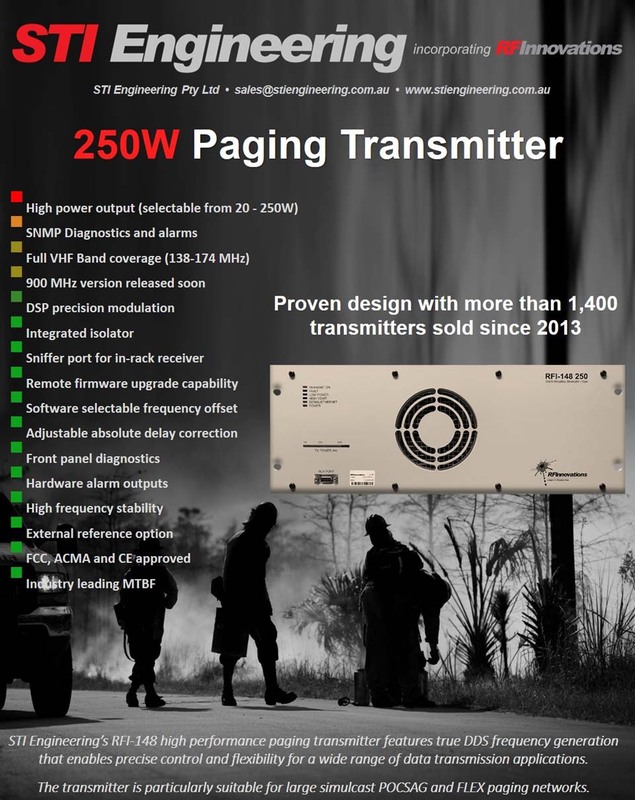 Not knowing exactly what information the paging system (or systems) may use out of the various data packets that are available, it is hard to give a definitive assessment of what is possible using this method. To be honest, while I thought it would be a neat trick, it is clear that the best fix is to have a GPS receiver that provides the right data without additional latency, i.e. send Trimble a big fat check. Since the main problem is that the GPS signal itself does not carry the missing information, all GPS receivers have potentially the same issue. The difference is the date at which they either stop providing correct time, or the date at which you need to intervene and configure them for the new epoch (for those who may have upgraded software). Trimble for instance applied a correction for GPS weeks above 935 for the Thunderbolt. That was based on the anticipated release date of their product which was beyond that week. Other products may have a different "magic" date. The newer GPS satellites do carry the missing information, but not all satellites do, so I am not sure how a newer GPS receiver that can decode that information would work if all the satellites in view are the older models. 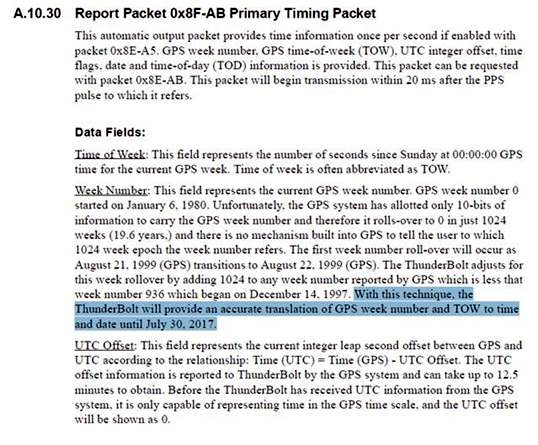 My belief (and that would be a question to ask of Trimble) is that even the newer receivers may have to be told every 19.7 years to get ready for a GPS week rollover until the entire GPS satellite fleet has been upgraded. As a side note, I would be pretty pissed if Trimble forced me to buy new receivers because they chose not to take care of this problem when they had a chance. I do have 3 Thunderbolts but I bought them from surplus, so I can't complain. They knew full well that it would be an issue since their manual is plain about it. I guess if we are going to point fingers, the designer of the paging system who did not read the manual are at least as guilty :) Finally, it is obvious (but still irritating) that Trimble would prefer selling new receivers rather than re-flash the old ones. The fix is a few lines of code. There is no excuse, but greed is a powerful motivator. Thank you for your interest. Feel free to contact me if I can be of any help. We invite you to celebrate the birth of Bella Mosengo as we welcome her into the world with this Live Outside version of the Lionel Richie song, "Stuck On You," performed by her father, Mermans Mosengo of the PFC Band. Spread the love!